Are you the missing piece for our call team? This year, Christ College's Telephone Campaign will be running from 16-31 March, and we need your help! Every Easter we run our annual Telephone Campaign, and Christ's relies on students to man the phones, ring up our alumni and ask them for their support. 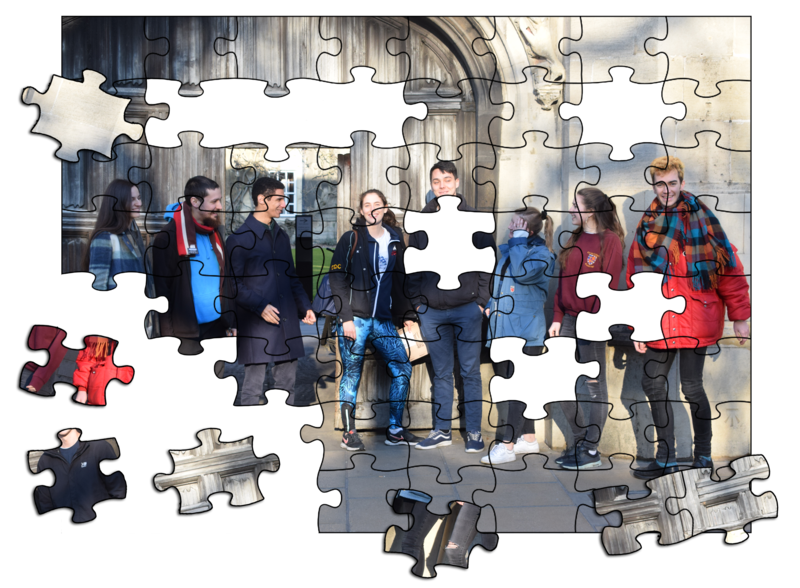 Every donation raised in the campaign goes towards Student Support, including bursaries and hardship grants; meaning that, by taking part, you are helping ensure everyone at Christ's can enjoy their Cambridge experience. With opportunities for deep conversations with leading figures in their fields, earning money over the holiday whilst staying in Cambridge, and getting involved with the College, it isn't a surprise that we get students who join us year after year on the calling team! Click the links above, and our Telephone Campaign page, to find out more- and if you have any questions, contact Robert Smith by email, or drop into our office in V2.